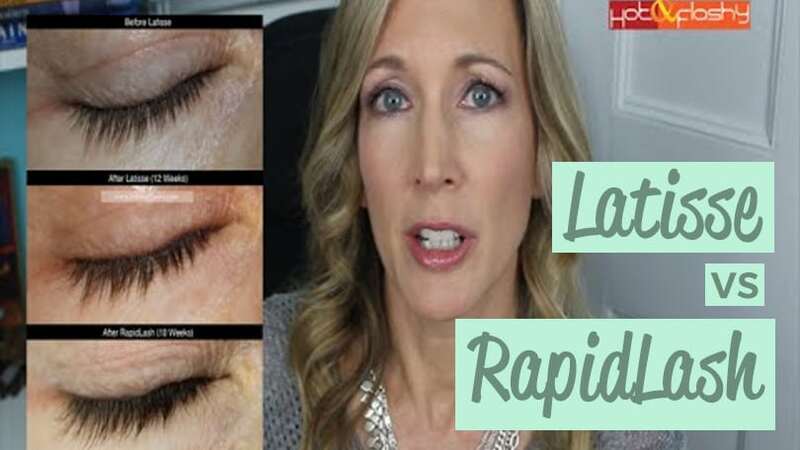 >> RapidLash VS Latisse: Which One Wins? Instead of Bimatoprost, RapidLash’s active ingredient is the brand’s exclusive Hexatein 1 Complex, which contains peptides, biotin, panthenol, amino acids, soybean oil, and pumpkin seed extract. Its formula is also paraben and fragrance free, ophthalmologist and dermatologist tested, safe for contact lens wearers, and not tested on animals. Angie had treated herself with Latisse before, but she stopped using it and waited for a full month until its effects and results were completely gone so she could switch to RapidLash for testing. She also noticed her eyebrows had become dramatically thinner and decided to combine it with RapidBrow as well. 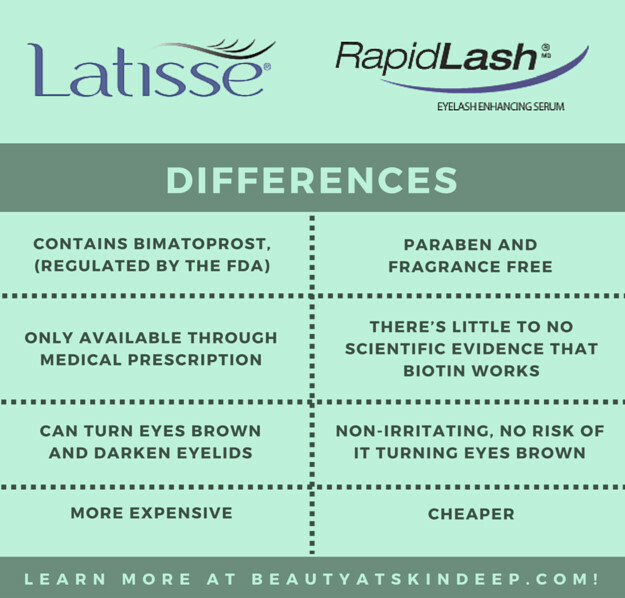 The results made her feel speechless: RapidLash provided almost the same effects than Latisse but, unlike the latter, it didn’t contain any component that turned it into a medical prescription drug, and it also didn’t imply any risks such as eye color changes. There’s no risk of RapidLash changing the eyes’ color to brown. It’s not irritating, and it doesn’t hurt or cause any pain. The packaging is compact and maneuverable. Its little brushes are easy to use. It’s less expensive than Latisse. It provides longer, fuller, and darker lashes. There’s little to no scientific evidence that anything in the formula specifically influences hair growth. When taken orally, Biotin (Vitamin H/B7) might help hair grow faster, but there aren’t any supporting studies proving that it can have the same effects when applied topically. Angie mentions she took a collagen supplement with an important dose of Biotin for a couple months and she noticed her hair grew much longer, though she also highlights that there’s not enough scientific evidence to connect it directly with her biotin intake, despite the fact that she recognized RapidLash ended up working as intended and producing the desired effect of hair growth. Though Biotin is involved in the process of cell growth, and small-scale studies have demonstrated its positive effects strengthening nails, there’s nothing that can even suggest that it promotes hair growth. It’s water-soluble, which means that any excess of it in the human body is eventually turned to waste. Nonetheless, people who suffer from Biotin deficiency disorders could be the exception to this apparent rule, since brittle hair and nails are some of the most common symptoms. 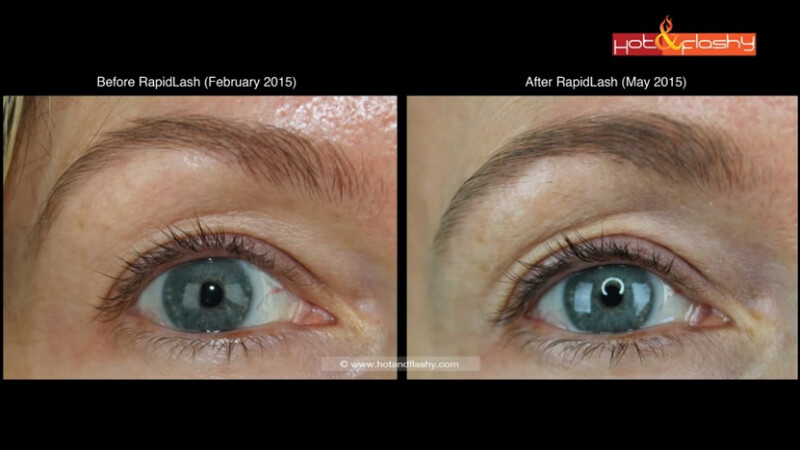 As someone that relies on science, Angie was surprised to find out RapidLash actually worked, and even ended up giving her much longer eyelashes than Latisse. She noticed the biggest difference in her eyebrows, and she also pointed out how her lower lashes also look slightly thicker and longer, even though she only applies the serum on her upper lid before sleeping. Angie confidently stated that RapidLash worked for her nearly as well as Latisse.